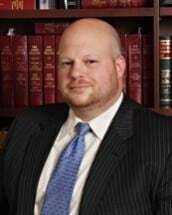 DWI and Criminal Defense Trial Attorney who provides a compassionate and vigorous defense to achieve the desired individualized results for each client. Unanimously elected Legislative Coordinator of the Municipal Court Practice Section of the New Jersey State Bar Association. Experienced as both a Prosecutor and Public Defender in Municipal Courts throughout the State of New Jersey. Skilled legal writer whose briefs have assisted in overturning multiple criminal convictions. Testified before the New Jersey Legislature on behalf of the New Jersey State Bar Association. Lecturer for other attorneys in continuing education classes. Also possess real world business experience thriving in the high pressure environment of an elite college basketball program.